Shirer is best known for his book, The Rise and Fall of the Third Reich. He was an American journalist and war correspondent in Berlin during WWII. 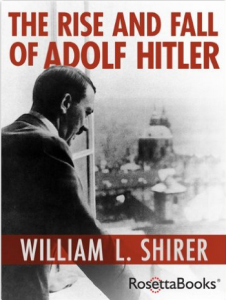 Shirer often heard Hitler speak and observed his rise and fall first hand. This small book is the best “quick” read of the life of Hitler that I’ve read (copyright 1961).